Mariachi Ameca was founded by Jaime Cervantes in Chicago,Il in 1983. Our band consists of 9 members most of which have had years of musical experience. Mariachi Ameca has accompanied many famous singers such as, Lucha Villa, Guadalupe Pineda, Pablo Montero, Aida Cuevas, and Napoleon. 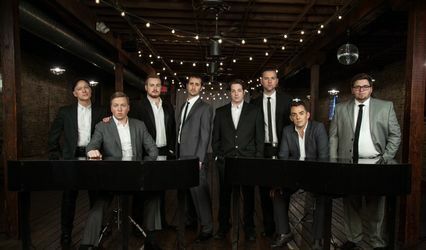 This band performed at Six Flags Great America for about ten years and also made an appearance in the movie "The Jackal" Starring, Bruce Willis. 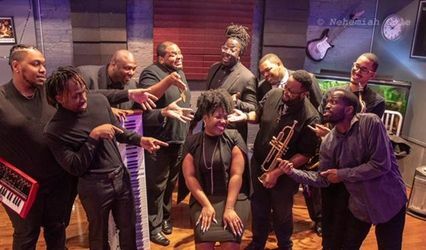 Our band has performed over the years at many events including festive parades, funerals, religious events, many private parties, and special events in Chicago and it's surrounding areas. We play a variety of traditional mexican music including, sones, boleros, popurris, polkas, rancheras, cumbias, and more. 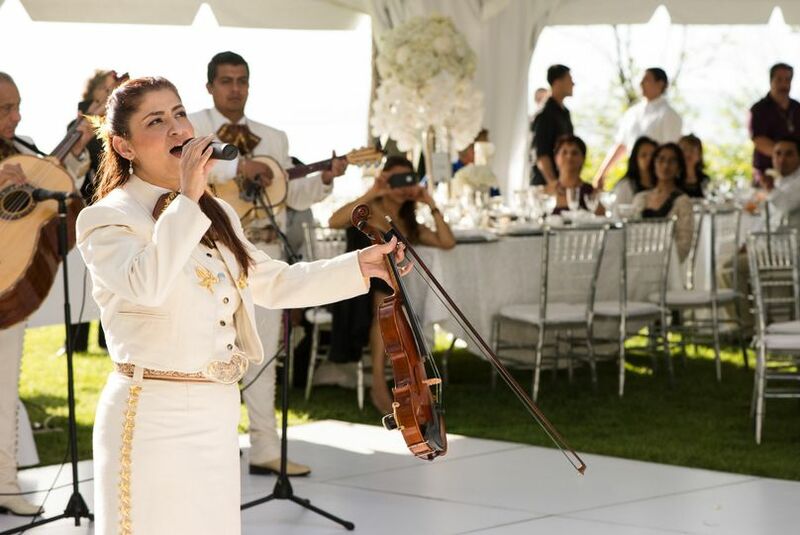 So if you're searching for a mariachi to liven up your party make sure to give us a call. Mariachi Ameca was amazing! They made our wedding a hit! They showed up on time, and played beautifully! They also let me sing Tu Solo Tu with them! We were kinda wishy washy since my husband and I aren't very organized, and we called them the week of with the final confirmation on the start date for our reception, and they were super accommodating. I'd absolutely recommend them in a heartbeat and I hope to use them again! My husband is Mexican and I am American, and they sang both in English and in Spanish and both of our families loved them. Gracias Mariachi Ameca for a beautiful performance during our ceremony and reception. I truly appreciate you taking in consideration my song request at the church procession too. You made our day! Thanks again for a a great performance at our wedding! We look forward to using you in the near future and will highly recommend you to our friends and family. I saw the mariachi's promo video on youtube and fell in love with their sound!! My dad wanted to pay for the mariachi as our wedding gift and asked me to find the one I wanted to book. I'm Mexican and my husband is American (African-American from mom's side and German from dad's side). What I loved about Mariachi Ameca is that the male lead singer said he was musically trained with a Frank Sinatra style. At our wedding, I asked if they could sing "My Way" (which was covered in Spanish with mariachi a few years ago). To my pleasant surprise, he sang it in English!! My husband's side LOVED IT!!!!!!!! My dad sang a few songs with them (mom is his #1 fan) and they sounded great together!! 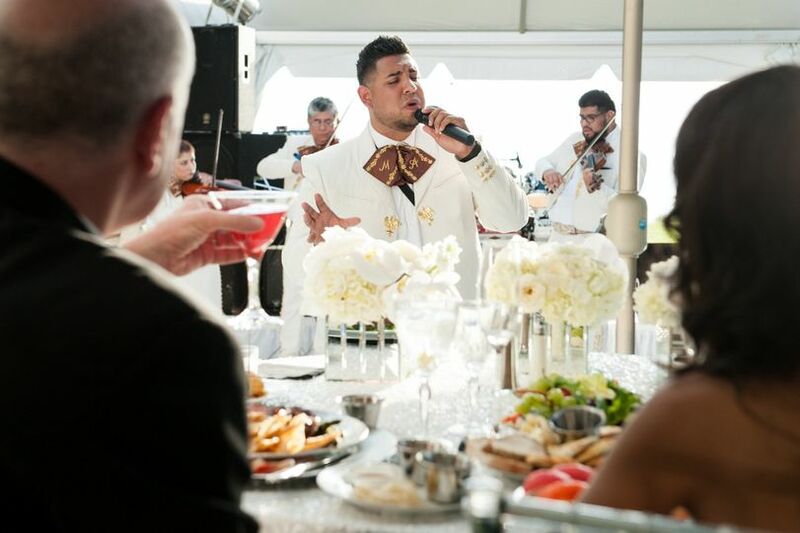 A lot of guests asked if he had rehearsed with the mariachi before the wedding!! I believe a true test for these great musicians is how well they adapted to dad's singing style from the very first song! The female lead signer also stepped up to sing backup with my dad during the chorus of the songs. It was flawless!!!! They also went around and sang a song to each table, which our guests really appreciated. They interacted with guests by allowing the to sing hooks of songs and encouraging them to sing along. Also, per my request, they wore their white mariachi outfits. Thank you Mariachi Ameca!! Our photographer took great pictures, which I will be emailing to them for their use!